Accurate Firearms and Accurate Range, located in Clarkston Michigan, has been family owned and operated for years, we sell thousands of firearms every year at our store. 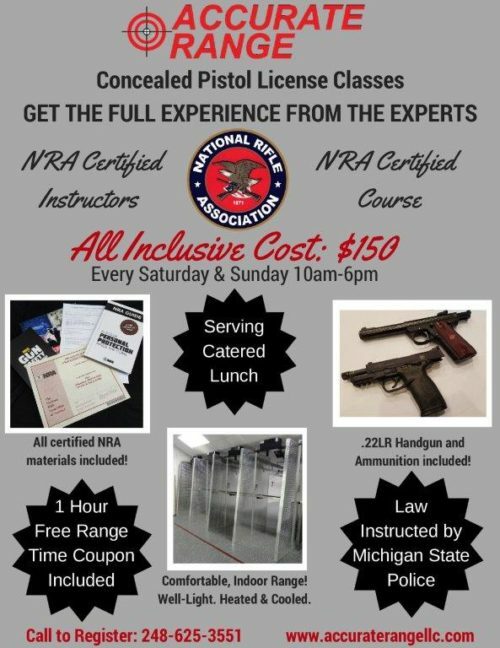 Our Indoor Range also offers CPL Classes every weekend! Accurate Firearms holds to a high standard of quality service and products and we pride ourselves on excellent customer service.